Congratulations! The decision to marry has been made, perhaps a date set, and you’re planning a wedding. Just be sure to plan for becoming a family, as well, because ultimately that is what this is all about—becoming family to one another. Through the years I have encountered countless blended families that were comprised of a strong marital couple who really loved each other trying to exist within a divided stepfamily household. Preparing for a good blend will hopefully keep that story from becoming yours. Don’t be surprised if you feel underprepared for stepfamily living. Don’t be surprised by growing stress and tension around how to blend. It’s not easy even in all-around healthy situations. I often tell pastors that the key objective of stepfamily ministry is to get the newly formed family through the first few years. Surviving the “integration years” is really what you’re trying to do. On the surface that may not sound like much, but actually it’s rather significant. The first five to seven years are when everyone is adjusting to life together and becoming family, that is, learning first to like each other and then, perhaps, to love each other even as they are psychologically redefining their existing family to include new family members. This is a stressful process with many potholes and road hazards. Expect there to be a period of transitional stress for your home after the wedding. Some may ask, “Ron, are you trying to scare us?” No, but I am trying to inform you that while good dating requires much work, more work will be needed after the wedding. Don’t relax your initiative; move instead into this next season of your relationship with as much drive as you’ve had up to now because, while the integration years may be stressful for many (not all) blended families, the rewards are worth the price. I’m convinced that healthy stepfamilies are a redemptive work of God for both children and adults, but that’s a function of years of dedication, determination, and smart stepfamily living, not just good dating. Here are two core concepts to get you started. 1. Decide to put your spouse before your children. In the digital era, it’s rare to receive a snail mail letter. One day I opened my mail and received this heartfelt petition addressed to me but, I think, written to you. I don’t know why I’m writing this letter to you. Unfortunately, four and a half years into a second marriage, I realized that I’ve always been in the #2 position behind my stepsons in my wife’s heart. I’ve heard and read how serious this is but did not fully understand until experience caught up with me. Now, with my stepsons determining how my wife interacts with them and with me (and my children alienated from me), I now see what a grave mistake I made. Please continue to tell spouses that God designed marriage for them to be #1 in each other’s hearts, and that straying from this design will never, ever work. Of course, I’m not referring to a spouse who is abusive or following one who is contrary to Christ. I’m referring to the majority of spouses in stepfamilies who are doing their best but find themselves in second place, with their spouse deferring to and trusting the children rather than them. I’m three to six months away from divorce at this point … I have always been #2 and after years of spiritual work and determined effort I’ve not been able to move to #1. 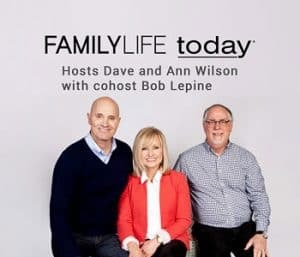 Unfortunately, Joe encountered the Achilles’ heel of blended family integration—a biological parent who is unwilling to boldly move their spouse into a place of prominence in their heart and family. You simply will not bond or grow together in love if this dynamic is true in your marriage. Joe referred to being #1 or #2. Talking about rank sometimes frightens biological parents because they think this means abandoning or neglecting their children. It unequivocally does not! 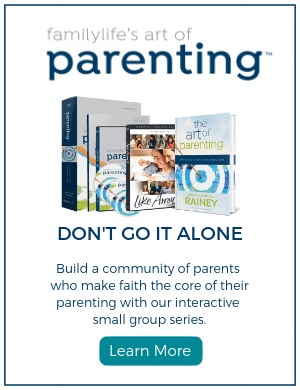 This isn’t about leaving anyone behind, but it is about prioritizing the marriage as a lifelong commitment and positioning the marriage as the parenting team and focal point for leadership in the home. Couples in first marriages raising their biological children do this, as well. Yes, they devote a great deal of time and energy to raising and nurturing their children, but the kids also know that Mom and Dad don’t hide things from each other, are deeply loyal to each other, and are a united team in leading the home. This understanding empowers the couple and provides stable leadership within the home. Of course, in a biological family kids are as equally invested in their parents’ marriage as the couple is; that is, they want Mom and Dad to be loving and committed to each other. In a newly formed blended family, however, some children are threatened by the marriage and feel pushed aside by it. That means the first time Mom says, “I know I used to give you quick answers, but now I need to ask my husband what he thinks before making a decision,” they may challenge Mom’s effort to position the stepfather as a co-leader. And the first time she takes her husband’s side on an issue, they may hit the roof. But she must do just that. If she does not, she tears the family’s Achilles’ heel. However, if she does express and live out her commitment to her husband, she positions him and herself to parent from within the marriage. They must be a unified team or everything begins to crumble. 2. Adopt a Crockpot mindset. Just because you’re engaged or newly married doesn’t mean you can accelerate your rocket to Passion Planet at light speed with the expectation that your children will also accelerate theirs. That would be trying to combine your stepfamily in a blender—quickly and with high velocity. It is far wiser to adopt a Crockpot pot cooking style—slowly with low heat. The great paradox of adopting this approach to integrating your family ingredients is that it helps everyone relax about being family. No heavy pressure (which just invites resistance from kids). No upside-down “you need to take care of me by loving the people I’ve inserted into your life” burdensome messages from adults. No “forget your past, end your loyalties, and get happy now” crazy talk. Just calm “we respect your confusion and accept you anyway” patience and mature leadership. This, over time, paradoxically fosters openness and connection—just what you’re looking for. A blender mentality assumes that because children are happy that you’re getting married, they won’t ever also feel confused and sad by it. A Crockpot mentality expects some “hitting the brakes” reactions from the children at some point (weddings commonly bring this on). A blender mentality forces children to call a stepfather “Daddy,” but a Crockpot mentality lets them decide on their own. A blender mentality expects everyone to be happy with the new family, but a Crockpot one finds calm when there’s tension, knowing that they’re not done “cooking” yet. A blender mentality expects that combining all holiday and other special-day traditions will make everyone pleased, but a Crockpot mentality says “try it and see,” knowing that it may take a few years to figure out what actually works. A blender mentality makes children take down pictures of loved ones, but a Crockpot one encourages honoring deceased family members and staying connected with extended family. A blender mentality assumes the adult children will “be mature about this,” but a Crockpot one gives them space to be hurt. If any of the above challenged your thinking or left a pit in your stomach, you’re catching on. Merging two families into one is not as simple as toasting bread. It’s more like discovering by trial and error a recipe for a casserole of ingredients you’ve never combined before. Getting smart about the process will help a great deal, but even then there are some things you’ll just have to discover with God’s help all on your own. Trust Him to show you how. You’re about to marry the wrong person. That doesn’t sound very encouraging, does it? Well, it really is. What is means is this: If you were perfect, you could pick and marry the right person. But since you’re not, you’ll pick the wrong person—who, of course, in God’s economy is the right person. That is, the right person to help God reveal what you didn’t know about your selfishness or frailties or limitations and to grow you beyond them. Furthermore, God will use the journey of marriage and becoming a blended family to sharpen you, refine you, and teach you how to love with humility, sacrifice, and surrender, just as Christ has loved you. That is, God will do all these things if you will let Him. Adapted from Dating and the Single Parent ©2012 by Ron L. Deal, published by Bethany House Publishers, a division of Baker Publishing Group, www.bakerpublishinggroup.com. Used with permission.